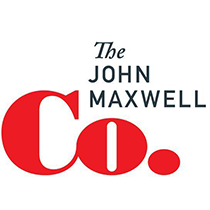 John Maxwell defines success as the following: "Those who are the closest to you and know you the best, love and respect you the most." In a criminal trial, the outcome hinges on the credibility of the witnesses called upon by the prosecution and the defense. Throughout the trial, jurors scrutinize each person who takes the stand, attempting to discern whether or not their words can be trusted. As they decide the case, jurors weigh heavily the statements given by believable witnesses, but they discard the testimony of anyone they deem to be incredible. As a leader, you're on the witness stand. Those you lead are like jurors, inspecting your behavior and dissecting your words. They expect you to tell the truth, the whole truth, and nothing but the truth. If you lose your credibility with them, they will tune out when you speak. However, if you prove yourself to be credible then they will hang on every word you say. First and foremost, reliability is a matter of character. Jurors carefully consider the prior conduct of a witness when determining how much faith to place in his or her words. They look at the witness' track record of truthtelling with friends and family to gauge whether the witness is an honest person. Reliability also depends upon consistency. When jurors hear eyewitness testimony, they pay close attention to the person's recollections. For an eyewitness to be deemed believable, his or her facts must align, and the timeline of events recounted must be plausible. Any contradictions or inconsistencies severely damage the credibility of the witness. In a leadership context, your followers are asking, "Do I trust you?" and trying to determine whether or not you're reliable. They are hoping the values you profess are an extension of your behavior rather than an exception to how you live. They want to know that you're going to do what you promise to do consistently over time. Jurors must question whether or not a witness is competent to give testimony. For eyewitnesses, perspective is key. Did they have an unobstructed view of the incident? How clearly do they recall the faces they saw? If an eyewitness is found to have had a poor vantage point then the credibility of their story weakens. Sometimes during a case, a specialist takes the stand to testify. A forensics expert may be called upon to comment on crime scene evidence, or a psychologist may be summoned to assess the fitness of the defendant to stand trial. In these instances, jurors look at the credentials of the so-called expert to decide how much confidence to place in his or her testimony. When evaluating you as a leader, your followers are wondering: "Can you help me?" They're appraising your competence to determine whether or not you have a clear view of where you want to go and if you know how to get there. People naturally follow leaders stronger than themselves. They have to respect your decision-making ability and intelligence before they will lend you their support. A shrewd juror examines the motives of witnesses, considering what they stand to gain or lose based upon the verdict. In particular, the jury must take into account financial incentives that are hanging in the balance when it weighs the credibility of a witness. Given what's at stake, people who testify may be tempted to embellish the facts to gain personal advantage. Objectivity is the core issue with respect to motives. Jurors must remember that witnesses, depending on their connection to the parties in the case, may not be impartial. When forming their opinions, the jury has to strain out the biases of those who give testimony. Subconsciously people constantly are asking their leaders, "Do you care for me?" If they sense that a leader is motivated by self-advancement, then they will withhold maximum effort. However, if they sense the leader has their best interests in mind, followers will give everything within them to support the team. Credibility takes time to build, and there are no shortcuts to developing it. Leaders gain the trust of others by proving their reliability, demonstrating competence, and authentically expressing concern for the interests of those they lead. At the end of the day, the best proof of your credibility comes when those who are the closest to you and know you the best, love and respect you the most.